Room equipment: TV sat, phone, electric kettle, fridge, tea and coffee set. 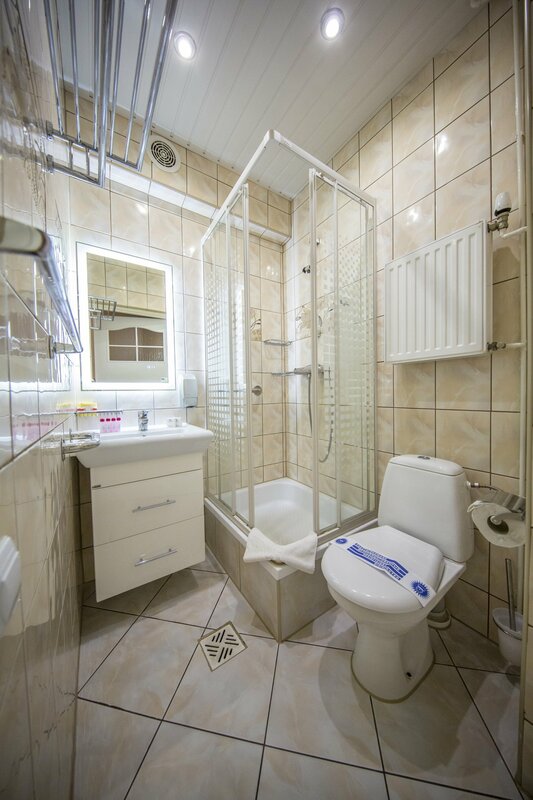 In the bathroom: shower cabin, washbasin, WC, hair-dryer, towel set. Free Internet, bathrobe.